A Maryland woman has been sentenced to prison for five years after she struck and killed a man that was riding a motorcycle in October 2015. The 61-year-old woman was driving under the influence of drugs and pled guilty last July to charges of vehicular manslaughter. She was under the influence of oxycodone and cocaine when she struck a motorcyclist. Manslaughter by vehicle by criminal negligence – This includes situations where the driver should have been aware but failed to realize that their actions created a substantial risk of a fatal accident. Manslaughter by vehicle by gross negligence – This crime occurs in the death of another vehicle due to a driver operating their vehicle in a grossly negligent manner. If a person chooses to operate a motor vehicle while under the influence of alcohol and/or drugs and the result is the death of another person, the driver of the vehicle that was driving under the influence and caused the accident will be charged with vehicular manslaughter. The penalties for such a crime are steep, just like the serious crime that they caused. The penalties for the crime depend on how serious the crime is, just like all types of felony charges. 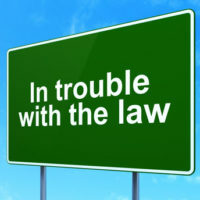 Manslaughter by vehicle carries a penalty of a maximum of 10 years in prison, a fine of up to $5,000, administrative imposition of 12 points and possible revocation of driving privileges, and reexamination to maintain a driver’s license. In addition to the above penalties, a person that commits vehicular manslaughter while under the influence of alcohol and/or drugs, can also face a prison sentence of an additional three to five years. Felony convictions can also result in life-time implications including having problems with finding housing, getting financing, and obtaining employment. The person was operating, driving, or controlling a vehicle or other vessel. The operation of the vehicle was done in a grossly negligent or criminally negligent manner. The death of the other person resulted from the negligent conduct. 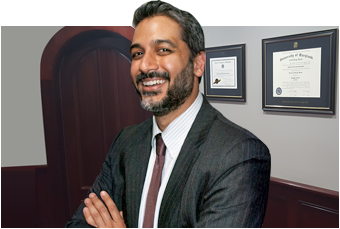 If you find yourself facing serious criminal charges such as vehicular manslaughter, let the Maryland attorneys at The Law Office of Hammad S. Matin, P.A. ensure that your rights are protected. We will craft the best possible defense strategy for your charges and work to ensure that you receive the least possible penalties for your situation. Contact us today to schedule a consultation.